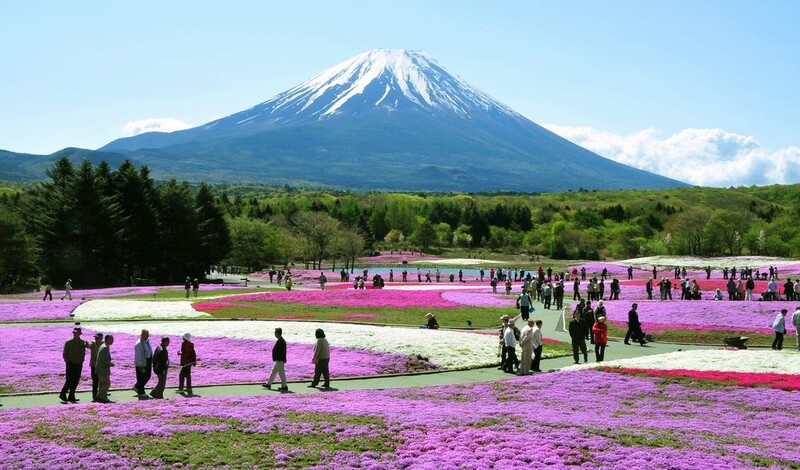 FUJIKAWAGUCHIKO, Japan – Pink moss phlox flowers, or ”shibazakura” in Japanese, are seen near Mt. Fuji, southwest of Tokyo, on May 13, 2010. Locals say the flowers are expected to be in full bloom in several days.